Cyclists in the Ely area of Cambridge are being urged to help ward off thieves by getting their bikes marked and registered on the National Property register – Immobilise. Police are holding a free bike marking event at High Barns play area in Ely from 6.30-8.30pm on Friday (24/06/2011). Information about online property registration database Immobilise will also be handed out. Registering property on the Immobilise website allows police to quickly trace the owner if it is stolen and recovered. By encouraging people to register their bikes on Immobilise we hope to stay ahead of the game and stop bike theft. Immobilise is simple to use and it only takes a couple of minutes to register your property. If a registered bike is stolen and then recovered, it is likely to be quickly reunited with its owner and police will have a better chance of prosecuting the thief. 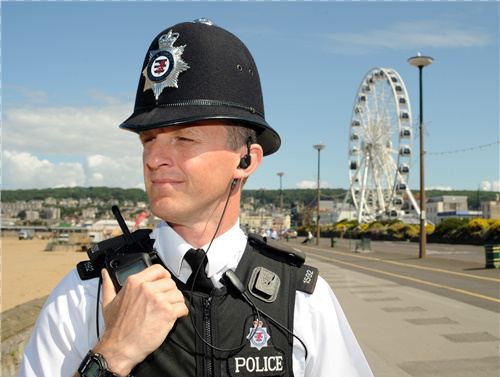 Police are gearing up for T4 on the Beach next month, which is returning to Weston-super-Mare for the ninth year running. Almost 50,000 people are expected to flock to the seaside town on Sunday 10 July to enjoy live music from a star-studded line up which includes chart toppers Jessie J, N-Dubz and Chipmunk. But along with the fun and excitement, local police are working hard to ensure the weekend is safe and enjoyable for residents and visitors alike. Once again this year we have worked closely with the organisers of T4 on the Beach so that we are able to provide a safe environment for everyone. In previous years the event has proved really successful and passed off with only a handful of minor incidents. There will be additional police officers on duty over the whole weekend to ensure that people can feel safe and be safe whether enjoying T4, having a day out in the town or going about their daily business. In the weeks leading up to the event police are urging people to think about what they can do to have a safe and incident free weekend. Last year the majority of incidents reported to the police involved lost or stolen mobile phones. This year police are urging people to register their property free of charge on Immobilise, www.immobilise.com. In the event that you lose your phone, you can use the facility to tell the police, insurance companies and the second hand trade – greatly improving the chances of recovering your property and capturing thieves. This summer promises to be a busy one in Weston, especially with the new Grand Pier attracting many more visitors to the town and we look forward to welcoming back T4 on the Beach again this year. For further information, including crime prevention and general safety messages, visit our website at www.policeatT4.co.uk.